Are you targeting businesses in the construction industry? Do you need to identify specific job functions, or differentiate between the various trades within the industry? Our construction lists are what you need. WhichList2 have researched and built a portfolio of the best UK construction databases available. By sourcing only from trusted and proven data providers, all of the lists come with guaranteed accuracy, are GDPR compliant and offer the most comprehensive view of the construction industry available for marketing. Every construction list has it’s own quirks and nuances, and it is these differences that can make your selections turn a good database bad. A simple example is a common request we receive is for builders, now this will give you around 36k matches. But is that really who you want, or do you really need only house builders, or restoration builders, what about size of the companies, when you specified builders did you have in mind to one-man trade contractors or large construction companies with dedicated departments? We will help guide you through your choices and select the right construction database to match your needs. When selecting your banking and financial company lists by geography, there are numerous options that can be used. As many companies are restricted by sales territories or travel distance, we offer the ability to specify specific postcode areas or radiate out a desired number of miles from a given postcode. Of course standard selections such as town, county, country, region are available as well as many popular geographic selections such as inside the M25 or M4 corridor. 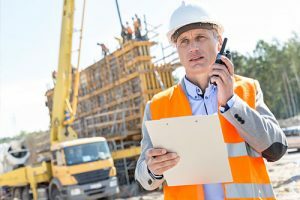 A two-man construction can be in control of 200 sub contractors but will be classed on a database as a two-man company. Certainly, selecting by permanent employees is more accurate but if those employees are on one site, it may be better selecting head offices and excluding branches. This is where we can help to find you the best solution.